Carl Jacobson is a landscape photographer residing in suburban Chicago. He is an accomplished photographer whose portfolio includes shots of many of the most beautiful locations in the world. He also has substantial experience in photographing architectural subjects and exteriors and interiors of residential and commercial real estate. Many of Carl’s photographs grace the walls of a number of residences and corporate offices and conference rooms. 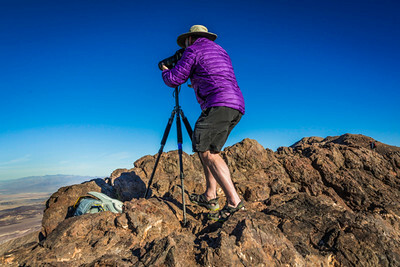 Carl has traveled extensively and is available to travel for a wide variety of photo assignments. His personality is one that brings a fun approach to all he does, which shows in the fruits of his labors. His sense of humor does not permit him to take himself too seriously, but he is a driven individual whose successes have been fostered by a self-imposed and demanding work ethic. In a previous life, Carl was an award winning CPA with a successful career at a multinational company overseeing a staff responsible for billions of dollars of real estate assets. Carl feels very fortunate that successes there enabled him to devote his attention towards his lifetime passion for photography. His strengths include an eye for strong compositions, rendering color beautifully, and a passionate approach to his photography. He thinks out of the box, and infuses a virtually unlimited amount of energy and enthusiasm in everything that he does. Carl is very happily married with two children, and is the hyperactive kid that never grew up. In addition to devoting himself to the photographic world that he loves, he spends a significant amount of time serving not-for-profits and specializes in business ethics. He is an active participant in a number of sports and particularly loves playing ice hockey, bicycling, and cross country skiing.